The Architects’ Council of Europe (ACE) is the representative organisation for the architectural profession at European level. ACE aims to influence EU legislation and policies that impact on architectural education and practice, as well as on the quality and sustainability of the built environment. Through its Members, the ACE represents the interests of over half a million architects. COFACE as the Confederation of Family Organisations in the European Union, brings together a large number of civil society organisations with the aim of giving a voice to all families and representing the issues most important to them at the European level. ﻿With 59 member organisations in 23 countries of the European Union, COFACE monitors closely the implementation of family and social policies in the Member States, and formulates together joint policy objectives at European level. The Vision of EAHSA is to improve the quality of life for older persons and support its members in making each day a better day for their clients by providing high quality housing, services and care. Established in 1990, the European Builders Confederation (EBC) is the European professional organisation representing micro, small and medium-sized enterprises working in all the relevant trades of the construction sector. EBC is a member of UEAPME - the European association of SMEs - on behalf of which it chairs the Construction Forum. ELO represents a large number of rural family business and enterprises as well as individual actors in Europe involved in activities such as farming and agriculture, forestry and cork, wine production, hunting and fishing as well as water and waste treatment. ELO sets out to encourage sustainable development and management, whilst promoting biodiversity, sustainable bioenergy, food safety, responsible packaging, and combating climate change. ELO also strives to uphold property rights notably in land use, cities, real estates, historic houses and gardens. EUROCITIES is the network of major cities in the EU. With over 130 cities in 35 countries, we cover the majority of Europe’s capital and second tier cities and together account for one quarter of the EU’s population. EUROCITIES enables local authorities to exchange good practices and to influence EU policy. FEANTSA is the European Federation of National Organisations working with the Homeless, was established in 1989 as a European non-governmental organisation to prevent and alleviate the poverty and social exclusion of people threatened by or living in homelessness. It is the only major European network that focuses exclusively on homelessness. FEANTSA currently has more than 130 member organisations, working in close to 30 European countries, including 25 EU Member States. FEANTSA’s members support homeless people with a wide range of services, including housing, health, employment and social support. FEANTSA works closely with the EU institutions, and has consultative status at the Council of Europe and the United Nations. as well as “global players”, carrying out all forms of building and civil engineering activities. FIEC is the social partner representing construction employers. Habitat for Humanity International’s vision is a world where everyone has a decent place to live. As a global NGO, in the EU we are active in 11 member states. Our main focus in Europe: housing microfinance services; building and repairing homes for low income families with the help of volunteers; disaster risk reduction and response; residential energy efficiency and the housing of vulnerable groups, especially the Roma. 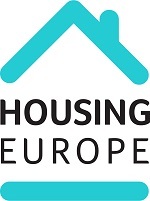 Housing Europe is the European Federation of Public, Cooperative and Social Housing. Established in 1988, it is a network of 42 national and regional federations which together gather about 43.000 public, social and cooperative housing providers in 22 countries. Altogether they manage over 26 million homes, about 11% of existing dwellings in the EU. Since the foundation of IUT (International Union of Tenants) (94035285059-91), in 1926 in Zürich, Switzerland, IUT has been dedicated at safeguarding tenant’s rights, as well as promoting construction and access to affordable rental housing. IUT believes that every well-functioning society is better off with a mix of rentals and ownership housing. IUT promotes secure tenure and tenant’s rights, which is not the case in many countries. IUT also promotes “tenure neutrality”; modes of finance and taxation should not distort consumer choices between renting and owning. IUT is a membership based organisation with 65 members in 46 countries around the world. UIPI is a pan-European not-for-profit association comprising of 30 organisations from 28 countries. Jointly, they represent more than 5 million private property owners and some 20 to 25 million dwellings. Founded in 1923, the UIPI aims to protect and promote the interests, needs and concerns of private landlords and owner-occupiers at national, European and international levels.